Xtend Barre is my new obsession! Based on dance and Pilates principles, the all-over body workout strengthens, lengthens, and stretches the body from top to toe. The results are incredible! I was so lucky (and challenged!) to experience a one-on-one class with Rocky and she sure put me through my paces! I’m no dancer but managed to plié and curtsy like a pro (almost!) During an intense 45 minutes I worked glutes, quads, arms, abs and calves with many an ankle rise. The idea is to be up on your toes to strengthen and condition legs and hone balance. Light weights are used for triceps and bicep building and just when you think it might be time to breathe, the mat comes out for some ab sculpting. I can honestly say I discovered muscles I never knew I had, which proves my usual workout needs an overhaul! Rehydrating with H2O after our cool down, I mentioned to Rockell I was heading to the US and she suggested I do a class at an Xtend Barre studio on Melrose Avenue in LA. 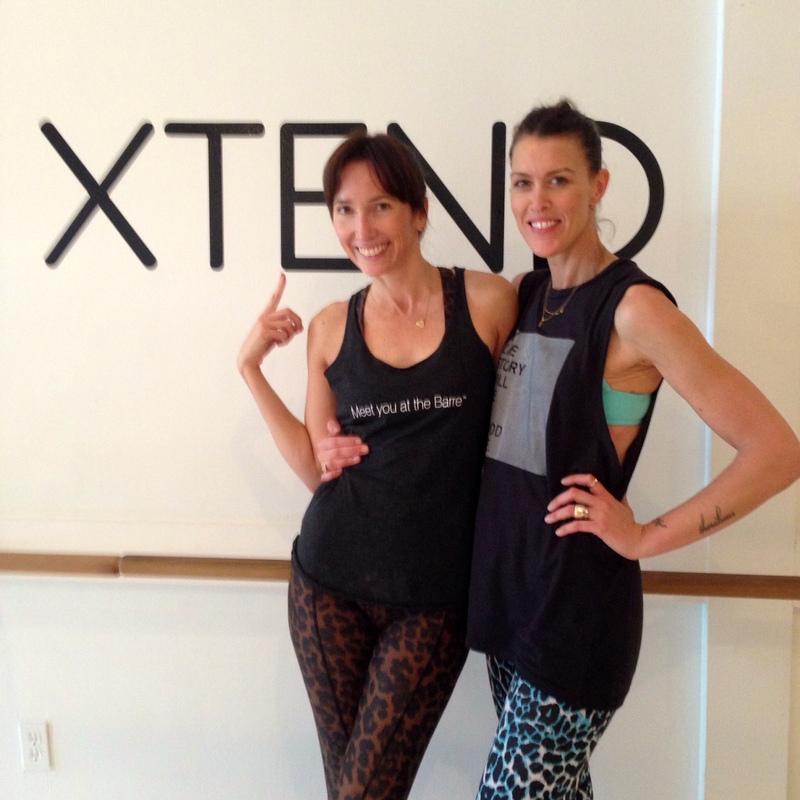 Just like that, only a week later, I found myself in Los Angeles at the Extend Barre West Hollywood studio owned by a very gorgeous Aussie gal, Samantha Rabon – who also has a dance background and killer body to show for it! Ready to stretch, bend, plié and curtsy in my The Upside leopard leggings and ‘meet me at the barre’ tank, this time I joined a group class. Make no mistake, this is a FULL BODY WORKOUT – there are plenty of abs and arm weights to ensure you work up a decent sweat and former professional dancer Samantha does not let anyone slack off at anytime! She’s super motivating though, not just with words of encouragement but take one look at her svelte shape and you’ll be inspired. I was, and am! 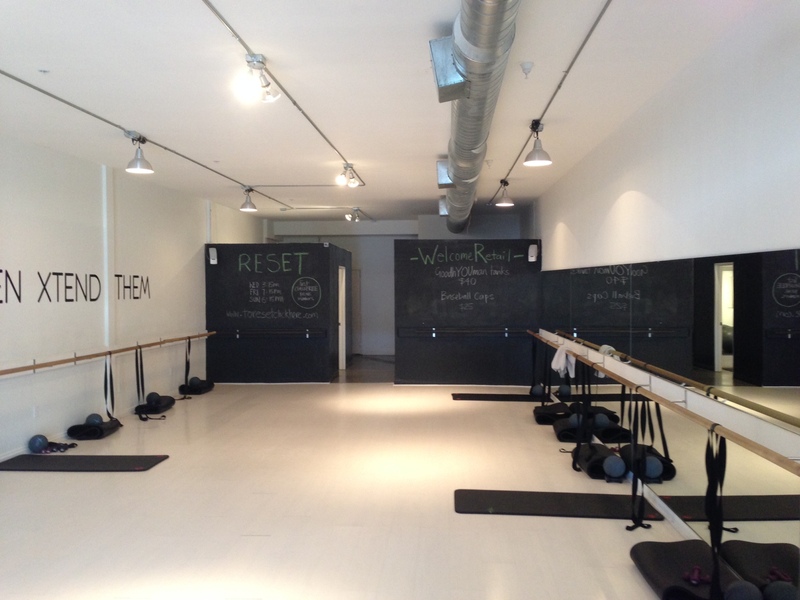 So here are a few pics of me at the barre.. can’t wait for my next class!